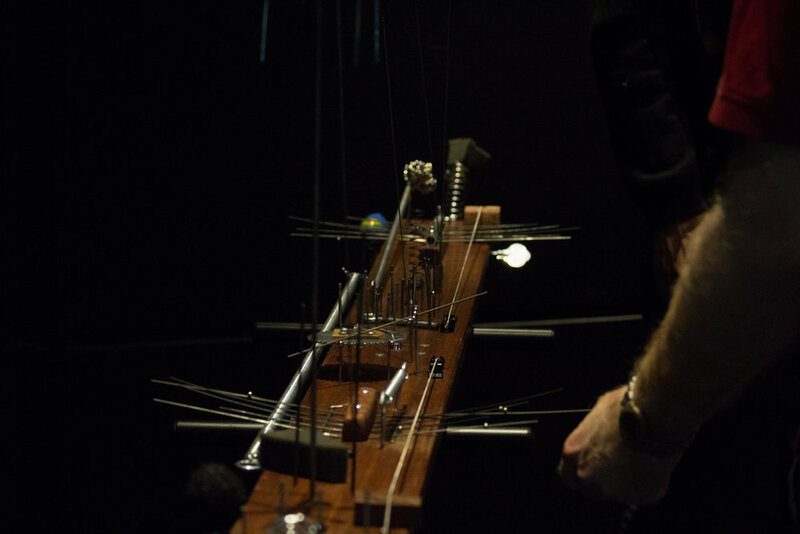 Torture Devices are electro-acoustic instruments that are simultaneously sound generators, audio processors, and performance scores. A set of lights embedded in the instrument determine where, how, and when performers play. The sound is picked up by contact microphones and processed through shifting feedback delay lines. The result is an unpredictable choreography of movement, sound, and light as the performers navigate around the instrument. An onboard micro-controller drives six lights installed on the face of the instrument. 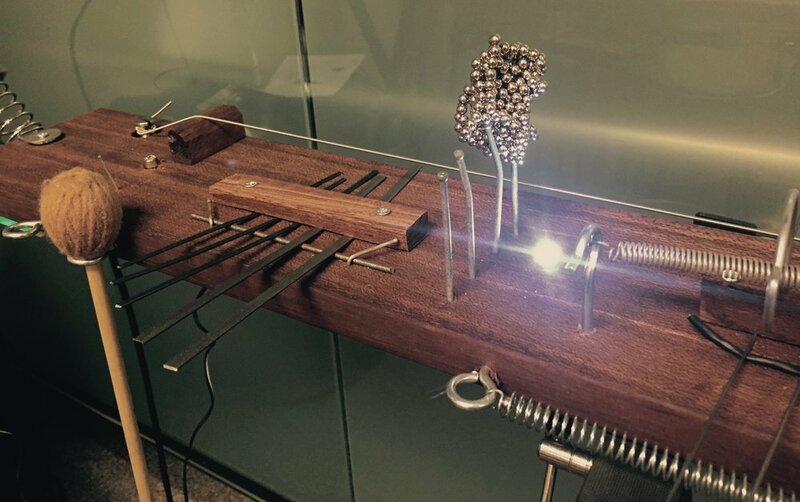 The performers take turns by touching one of 5 capacitive nails which randomly change both the lights and audio processing parameters. The instrument can be calibrated to have more or less autonomy and can be extremely frustrating to the performers. The processing patch consists of banks of long feedback delays, similar to the adding machines, which take sounds through two contact microphones and repeat them at long intervals. Over time the delay times begin to shift, modulating the delay lines in unpredictable ways.